Everyone is familiar with DHL as one of the giants in the niche of delivery and courier services, right along USPS, FedEx and so on. In today’s post, we will present a brief overview of this company and especially of the DHL Express delivery service, so you can know what to expect when using it. Originally, DHL was a German logistics company, stemming from Deutsche Post (DP), the national post service in Germany. The first establishment of an international division of DP was Deutsche Post DHL, but then a more specific division followed, the DHL Express. The DHL Express was founded in the U.S. in 1969, initially only meant to cover the exchange of documents and papers between Honolulu and San Francisco, but it rapidly grew to become one of the main delivery service providers in the entire country and overseas as well. DHL Express has distinguished itself in those years (throughout the 70s) especially by expanding within the U.S. as a result of the competition posed by FedEx, as well as internationally in areas which were difficult to cover (such as Middle Eastern or Soviet Bloc countries). 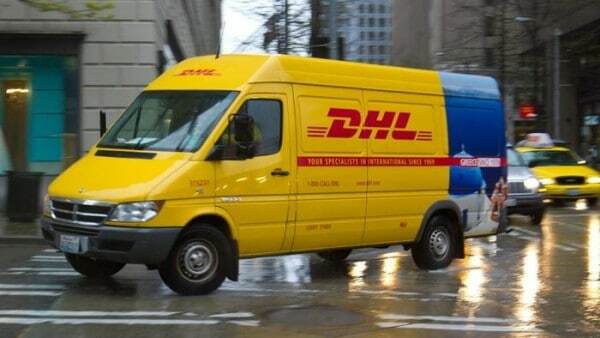 Between 1998 and 2002, DHL slowly purchased DHL Express back under its complete ownership. Today, the DHL brand includes multiple similar services such as DHL Supply Chain or DHL Global Forwarding, and by all these combined, the brand has reached tremendous international success. Currently, the DHL overall is a market leader in the niches or air and sea delivery. Its headquarters are situated in Bonn, Germany, but it has large operating centers worldwide, to keep up with its extensive activity. In the United States, its headquarters is in Plantation, Florida. Even though in theory a market monopoly is potentially a bad thing, in this case, we should say that the quasi-monopoly of DHL Express in understandable and not that bad. The DHL delivery times are almost unparalleled by any of its competitors, and customer services matches it. Everything shipped usually reaches its destination very fast, thanks to the already established large logistic network. If you shipped something with DHL Express Delivery and you’d like to know the exact time it will reach its destination, you can check out the DHL Express delivery hours on their website, following this link. You just enter your tracking number (received when you first order the transport), and you can easily check out where the parcel is at any point during the process. Also, there’s another reason for which DHL Express keeps up the good work in order to deserve its market leader position. There just one thing to say: DHL Express Saturday delivery. Yes, in exceptional cases, if you contact their office and mention the urgency of the delivery you’re planning, DHL Express offers Saturday deliveries and Saturday pick-ups, just so your order can be completed in time even if it’s for the opposite part of the world. Remember, this option is only open to DHL Express delivery service, not to the regular delivery, and in any case you still need to contact the DHL office you work with in order to specify your Saturday delivery requirements. Hey Buddy!, I found this information for you: "DHL Express Delivery: A Brief Overview". Here is the website link: https://all2door.com/dhl-express-delivery/. Thank you.